This blog collect all Islamic related stuff around the world like Complete Quran MP3, Islamic Wallpapers, Islamic Dua etc (...and counting).... Keep visiting for more. Will you learn enough Arabic language to understand Quran? Islamic Videos - Watch Islamic Videos for free! Islam 101 - an educational site on Islam, its way of life, civilization and culture. If you would like to share your Islamic Collection, please contact us at unclecruise@gmail.com. Do you understand Quran recitation in Taraweeh Namaz ? Do you read Holy Quran with understanding? Our Lord! accept from us; surely Thou art the Hearing, the Knowing. All rights reserved with respective owners. 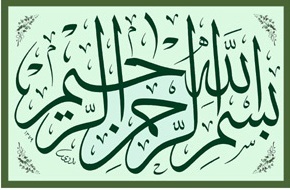 http://islamic-collection.blogspot.com/ shares content contributed by its subscribers to help others.This service is free. http://islamic-collection.blogspot.com/ disclaims all responsibility for any and all mistakes or inaccuracies in the information. Please note that we don't host any executable or softwares on our site.Watermarked image means it is hosted on our site, does not mean we keep it`s copyright.It is copyright to their respective owners.If you think there is any copyright issue please report this to us. Our Lord, pour down upon us patience, and make our steps firm and assist us against the unbelieving people.